Alpha is a Calgary's 1st chapter. 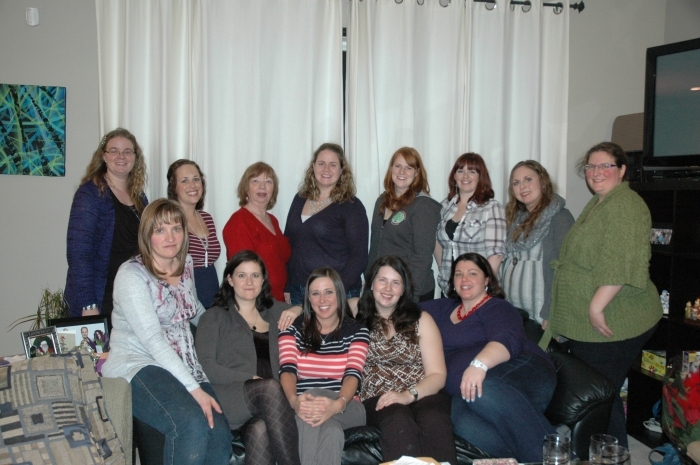 We are a Ritual of Jewels degree of women ranging from mid -twenties to mid-thirties. We meet at 7:30 on the 2nd Thursday of each month for a business meeting and the 4th Thursday of each for a program meeting September through June in the Calgary area. Meeting location varies depicted by the hostess/es of such meeting. We are made up of seven executive roles: President, 1st Vice President, 2nd Vice President, Recording Secretary, Treasurer, and Area Council Representative as well as six committees: Social, Service, Ways and Means, Yearbook, Scrapbook, an Historian. We abide the by-laws, traditions, and courtesies reviewed at the beginning of each year by the chapter, and keep ourselves on track with skillful guidance from our member advisor. In June of each year we draw names for an optional Secret Sister giving Birthday, Christmas, Heart to Hand, and Wind-up gifts as well as any other tokens deemed appropriate such as an anniversary. The monetary maximum for such gifts is $25.00/each. Throughout the year we try to participate in 1-2 service projects such as; Operation Christmas Child, sorting/donating for the food bank, and contribute to a charity in conjunction with our annual trivia night Ways and Means function. We are a diverse group always on the lookout for a new dynamo to join us.